Please find pictures of the renovated bomb shelter in Sderot made possible by our 5768 Shmini Atzeret Appeal and please click here to see a letter from Rabbi Dr. Tzvi Hersh Weinreb expressing the gratitude of the Orthodox Union and describing the nature of the programs to take place in this facility. On Kol Nidrei night 2000, in response to the renewed intifada against our brethren in Israel, Rabbi Segal delivered an impassioned plea for action. He called on us not only to support our fellow Jews emotionally and financially, but to counter the growing anti-Israel sentiments being expressed in America and in Europe. 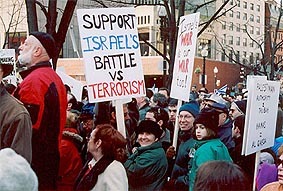 That Sukkos, our Shul formed the Israel Action Committee, which brought together several existing community groups, such as CAMERA (Committee for Accuracy in Middle East Reporting in America), the ADL (Anti-Defamation League), and other local Jewish groups to create a unified and powerful voice in support of Israel. This coalition was soon joined by other congregations in the greater Boston area to form the Boston Israel Action Committee (BIAC). BIAC has since been at the forefront in arguing Israels case to fellow Jews and to the media. We have sponsored a series of impressive speakers, including Steve Emerson, a noted expert in terrorism, Professor Dennis Hale, a member of the Episcopal lay leadership, who has spoken out courageously against the pro-Palestinian stand of Episcopal clergy, and journalist and editorialist Jeff Jacoby, who is a forceful lone advocate for Israel on the staff of the Boston Globe. 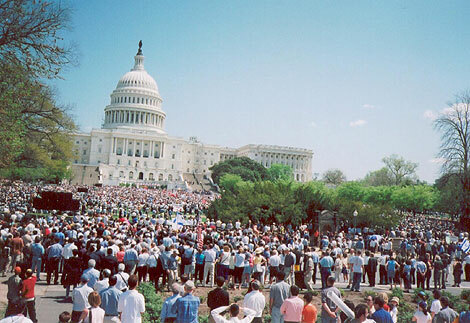 We have joined demonstrations in Boston on behalf of Israel and sent a large contingent to the rally for Israel in Washington, D.C. in 2002. BIAC has also spawned several offshoot programs designed to fill specific needs in our crusade to support Israel. Jewish Action Team (JAT) is an e-mail army of over 1,000 people who regularly send messages to government representatives to make our views known to those who make or influence Middle East policy. Project David is a unique program designed to train Jews to be advocates for Israel and to have the information and tools needed to counter the misinformation and slander perpetrated against Israel and her people. In addition to political action, our Shul has also become closely involved in humanitarian causes on behalf of the people of Israel. Our members have raised money for 3 emergency-aid mopeds for the Zaka Response Team, the first responders to terrorist attacks in Israel. In addition, our Shul has adopted a family in Israel which has been directly affected by terror. As part of the Adopt-a-Family program, our members offer financial and emotional support to these victims of terror. For more information about the many Israel action programs at our Shul, please see the links to the left.